When Heather and I flew out to Portland, OR for The 420 Games we had the experience of a lifetime. Heather took 2nd place in Oregon, and being our first time in Portland, we had a great adventure. As much fun as we had, the highlight of our trip was the ride to and from the airport with High End Transportation. We had the pleasure of riding in the Tesla. Our driver’s name was Toni, who drives the Tesla often enough to be nicknamed, Toni Tesla. She was so nice and friendly. Our conversation made the trip even better, and Toni really made us feel like we were riding with family. The ride was a smooth and relaxing one as we lit up in the backseat and enjoyed the goody bag that was awaiting us on an ornamental platter. We even left some camera equipment in the car on the flight out, so they text us letting us know they would hold onto it, and it was in the backseat when we returned a few days later. There service is seriously one of a kind. One thing I must admit as well, when you get picked up or dropped off by High End Transportation, they make you feel like an MVP, cannabis style, and it was truly amazing. Since then, I’ve seen the HET team at several cannabis events. They seem to be at every single event there is, and they’re always supporting the entire community. I recently got to speak with their Chief Green Officer, Marie Peel or more commonly just “Peel”, and ask a few questions about the company. I also found out the entire crew did a Spartan Race as a team building exercise which I thought was an incredible idea! Here is what I learned about how and why HET was created, what they hope to accomplish, and Peel’s thoughts on their Spartan Race. High End Transportation started as a collaboration among the 4 owners, Marie and Ruby Peel, and Cliff and Lillian Stokes. 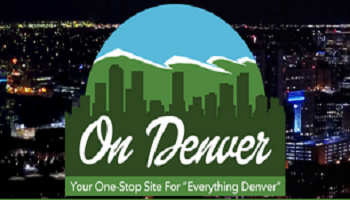 They wanted to contribute to the cannabis community and figured transportation was a way they could touch everybody coming in and out of Denver. They deliver the message of being able to indulge in this plant, safely in their vehicles, because the taboo from other states doesn’t apply here. This helps them to change the perception of marijuana, one client at a time. In creating their dream company, the owners started a larger family by coming together, and in doing so they have created a ripple of relationships throughout more than just the cannabis community. HET stands to represent for minority community, the female community, and the veteran community. They strive towards building a strong organization with the goal of creating a positive imprint in the universe. High End Transportation will not only pick you up at the airport with a goodie bag ready, they will take you to some of the dopest dispensaries in town before taking you to your final destination. 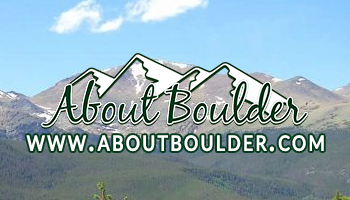 They also offer tours that will take you into the mountains where you can have a beautiful ride enjoying the views of Colorado and the mountains. You can get some running in, or some hiking, allowing you to stay fit but still have fun. They offer tours to resorts and private homes where you can sit in the yard and indulge in some nice cannabis to relax. On top of their experiential services, they also offer portable lounges for events, where cannabis consumption can be enjoyed safely and in style. One of them is even decked out like a speak easy! Clearly, High End Transportation, goes above and beyond to give you the MVP treatment. Did I mention they’ve also driven celebrities around!? They create a one of a kind experience that really allows you to indulge in the journey. It is for these many reasons I am proud to say I will be working with them on transportation for my cannabis wedding being planned by Irie Weddings and Events! I can’t wait for my family to come to town and have their minds blown when HET makes them feel like cannabis MVPs! In talking with Peel, she mentioned the entire High End Transportation team recently completed a Spartan Race as a team building exercise so we asked her about the experience! Why did you choose a Spartan Race as a team building exercise? How did everybody feel about it? “It’s important for life to be healthy and balanced. We trained for 90 days and prepared for the race as a team. There was some pushback at first, but in the end, everyone was really happy with how they felt, how they looked, and the accomplishment of finishing it. The training and challenge of the race itself definitely changed the mindsets from how we were operating before, although, no one has taken me up on another Spartan race! There have been changes in eating habits like leaning meat out of the diet, eating more vegetables, and being more aware about what we put in our bodies. It’s important to understand in order to make an impact long term, you need to be healthy long term”.